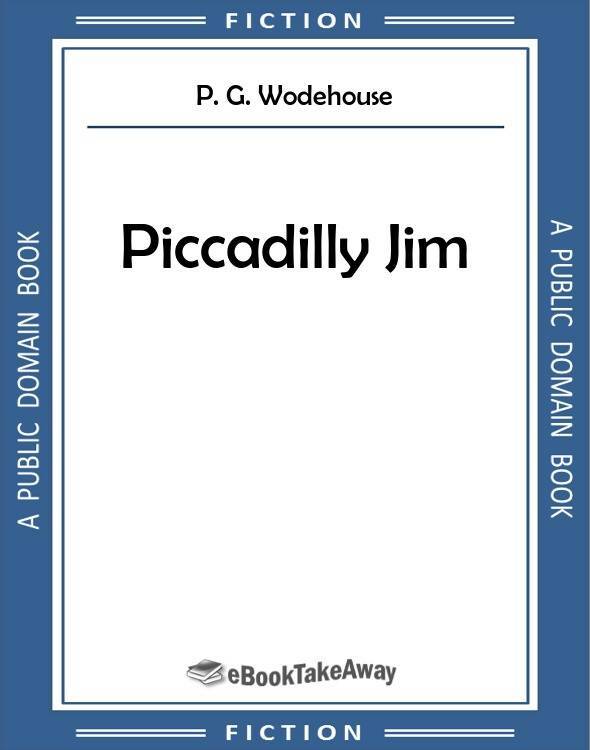 Download Piccadilly Jim by P.G. Wodehouse for iPhone, iPad, Nook, Android, and Kindle in PDF and all popular eBook reader formats (AZW3, EPUB, MOBI). The life of Jimmy Crocker, (a.k.a. Piccadilly Jim) has been little more than broken promises and drunken brawls. However, Jim has fallen in love and taken to reforming himself. Unfortunately, to win the heart of his intended, Jim must pretend to be someone else. The residence of Mr. Peter Pett, the well-known financier, on Riverside Drive is one of the leading eyesores of that breezy and expensive boulevard. As you pass by in your limousine, or while enjoying ten cents worth of fresh air on top of a green omnibus, it jumps out and bites at you. Architects, confronted with it, reel and throw up their hands defensively, and even the lay observer has a sense of shock. The place resembles in almost equal proportions a cathedral, a suburban villa, a hotel and a Chinese pagoda. Many of its windows are of stained glass, and above the porch stand two terra-cotta lions, considerably more repulsive even than the complacent animals which guard New York's Public Library. It is a house which is impossible to overlook: and it was probably for this reason that Mrs. Pett insisted on her husband buying it, for she was a woman who liked to be noticed. Through the rich interior of this mansion Mr. Pett, its nominal proprietor, was wandering like a lost spirit. The hour was about ten of a fine Sunday morning, but the Sabbath calm which was upon the house had not communicated itself to him. There was a look of exasperation on his usually patient face, and a muttered oath, picked up no doubt on the godless Stock Exchange, escaped his lips. He was afflicted by a sense of the pathos of his position. It was not as if he demanded much from life. He asked but little here below. At that moment all that he wanted was a quiet spot where he might read his Sunday paper in solitary peace, and he could not find one. Intruders lurked behind every door. The place was congested. This sort of thing had been growing worse and worse ever since his marriage two years previously. There was a strong literary virus in Mrs. Pett's system. She not only wrote voluminously herself-the name Nesta Ford Pett is familiar to all lovers of sensational fiction-but aimed at maintaining a salon. Starting, in pursuance of this aim, with a single specimen,-her nephew, Willie Partridge, who was working on a new explosive which would eventually revolutionise war-she had gradually added to her collections, until now she gave shelter beneath her terra-cotta roof to no fewer than six young and unrecognised geniuses. Six brilliant youths, mostly novelists who had not yet started and poets who were about to begin, cluttered up Mr. Pett's rooms on this fair June morning, while he, clutching his Sunday paper, wandered about, finding, like the dove in Genesis, no rest. It was at such times that he was almost inclined to envy his wife's first husband, a business friend of his named Elmer Ford, who had perished suddenly of an apoplectic seizure: and the pity which he generally felt for the deceased tended to shift its focus. Marriage had certainly complicated life for Mr. Pett, as it frequently does for the man who waits fifty years before trying it. In addition to the geniuses, Mrs. Pett had brought with her to her new home her only son, Ogden, a fourteen-year-old boy of a singularly unloveable type. Years of grown-up society and the absence of anything approaching discipline had given him a precocity on which the earnest efforts of a series of private tutors had expended themselves in vain. They came, full of optimism and self-confidence, to retire after a brief interval, shattered by the boy's stodgy resistance to education in any form or shape. To Mr. Pett, never at his ease with boys, Ogden Ford was a constant irritant. He disliked his stepson's personality, and he more than suspected him of stealing his cigarettes. It was an additional annoyance that he was fully aware of the impossibility of ever catching him at it.